Southern Baptist Convention - The Southern Baptist Convention, founded in 1845, is made up of over 16 million members in more than 42,000 churches in the United States. Through our cooperative efforts, we sponsor about 5,000 missionaries serving the United States, Canada, Guam and the Caribbean, as well as sponsoring more than 5,000 foreign missionaries in 153 nations of the world. We also sponsor numerous colleges and seminaries and make up the world'd 3rd largest disaster relief organization. Much ministry is done through the SBC to take the gospel to the nations. Grace Family Fellowship is proud to parter with our fellow Southern Baptists in taking the gospel to the nations. Kentucky Baptist Convention - The Kentucky Baptist Convention is made up of early 2,400 Baptist churches in the state of Kentucky. The KBC is sponsored, along with the Southern Baptist Convention, through the cooperative efforts of churches across the state. KBC places numerous missionaries on the field in our state. They also operate several schools and colleges, children's homes, hospitals, and more. 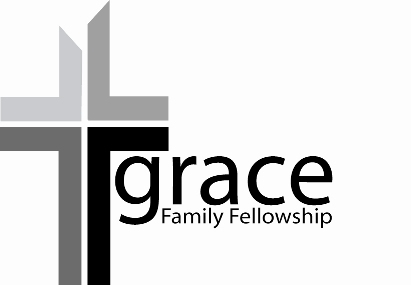 Grace Family Fellowship is blessed to share in this work. Founders Ministries - "The purpose of Founders Ministries is the recovery of the gospel of the Lord Jesus Christ in the reformation of local churches. We believe intrinsic to this recovery is the promotion of the Doctrines of Grace in their experiential application to the local church particularly in the areas of worship and witness." The leadership of Grace Family Fellowship shares the values of Founders Ministries and we are proud to be affilated with their work. Boyce College - For undergraduate students interested in serving Christ's church through vocational ministry, we can think of no place better to be equipped than Boyce College in Louisville, KY. Boyce College is the fully accredited undergraduate school of the Southern Baptist Theological Seminary. Students will be well trained in Bible, theology, church history, worldviews, and more. Associate and Bachelor's degrees available in areas of Biblical and Theological Studies, Christian Worldview and Apologetics, Expository Preaching and Pastoral Leadership, Missions, Counseling, Christian Leadership, Women's Ministry, Children's Ministry, Youth Ministry, and Music Ministry. If you sense God calling you to ministry, you'll want to visit Boyce College! The Southern Baptist Theological Seminary - Located in Louisville, KY, Southern Seminary is the flagship school of the Southern Baptist Convention. For more than 150 years, they have been training men and women to serve the kingdom of God throughout the world. Southern Seminary offers numerous master and doctoral degrees in areas of Theology, Missions, Evangelism, Biblical Counseling, Pastoral Ministry, Expository Preaching, and various church ministry emphases. And at Southern Seminary, you'll have the opportunity to study under one of the most prestigious theological faculties in the world. This is a great place to be equipped for your calling! www.albertmohler.com - The official website of Dr. R. Albert Mohler, Jr., President of the Southern Baptist Theological Seminary. Here Dr. Mohler engages today's news and important issues from a Biblical worldview. Daily blogs and podcasts about issues important to believers, keyword searches, sermons, links, and so much more. Monergism - Monergism.com is a great resource for Christians filled with articles, ebooks, and more from throughout the history of the church and today to equip Christians, encourage the church, and bring honor and glory to God. All of this is done by placing the emphasis on Scripture alone as our guide, and calling people to return to the true faith once for all delivered to the saints. They also have a great book store filled with helpful resources. 9Marks Ministries - An excellent resource for studying God's plan for the local church. "9Marks is a ministry dedicated to equipping church leaders with a biblical vision and practical resources. Our goal is simple: churches that display the glory of God." Visit today to study the nine foundational marks of a biblical church. Grace to You - The ministry of Dr. John MacArthur, the pastor-teacher of Grace Community Church in Sun Valley, California, as well as an author, speaker, president of The Master’s College and Seminary, and featured teacher with the Grace to You ministry. Numerous audio, video, and print resources related dealing with theology and preaching. Spirit Empowered Preaching - The Minsitry of Dr. Art Azurdia, Senior Minister of Word and Worship at Trinity Church and Associate Professor of Pastoral Theology and Director of Pastoral Mentoring at Western Seminary in Portland , Oregon. Truth for Life - Led by Alistair Begg, Truth For Life is a Bible-teaching ministry seeking to faithfully proclaim the Word of God. Dr. Begg is the Senior Pastor of Parkside Church in Chagrin Falls, OH.